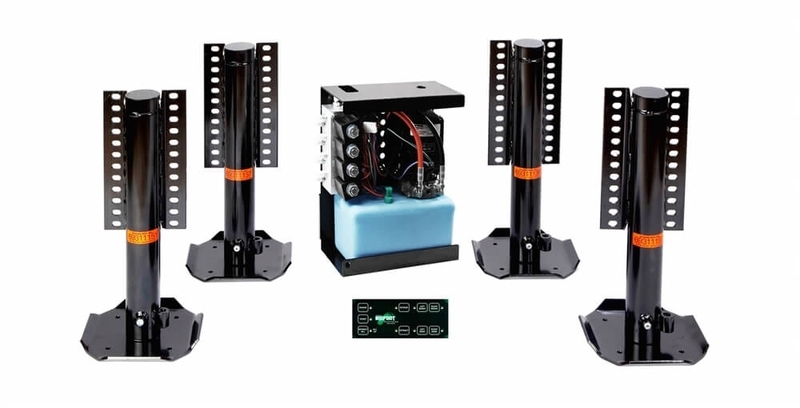 The Bigfoot AC-JAY2017 Jayco Redhawk Ford Central Automatic Leveling System is designed for specific vehicles and their leveling system application (cylinder size, frame & ride height, etc.) One weatherproof hydraulic power unit with an American made marine pump & motor wrapped in a steel housing, allows the unit to be mounted outside in the elements so it does not take up storage space. Bolts up directly to the pre-installed mounting cylinder brackets already welded on the vehicle frame on 2017 and newer Forest River on the Ford E450 chassis.